On Sound Off Connecticut today, current legislation in the U.S. House concerning firearm licensing was mentioned and we have an update for you. The NRA is tracking legislation and provides us with the proposal details. If you are a member of the National Rifle Association (NRA), one of the services is e-mail notification concerning proposed legislation in your state and at the federal level. First, positive legislation that you should support. H.R. 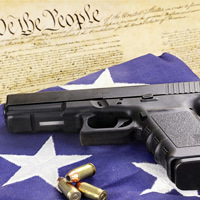 197 is the National Right-to-Carry Reciprocity Act of 2009. In part, it states that if you go through the required background check and fulfill state requirements to have a pistol permit, that state issued permit should be accepted without question in other states. I guess you can compare this to a drivers license that is accepted in other states. Many argue that nobody should be required to even have a permit to carry a self defense weapon after the normal background check. If they “grant” permission to you, you accept the fact that rights are given to you by the government. I understand that position since rights described in The Constitution are unalienable, not granted by the government. There would also be issues around Vermont residents who are not required to have a permit to carry a pistol; anyone can buy a pistol and carry after the standard background check. I wonder why there are no “wild west shootouts” in Vermont? Anyway, here’s the text of H.R. 197. This Act may be cited as the `National Right-to-Carry Reciprocity Act of 2009′. SEC. 2. NATIONAL STANDARD FOR THE CARRYING OF CERTAIN CONCEALED FIREARMS BY NONRESIDENTS. (a) Notwithstanding any provision of the law of any State or political subdivision thereof, a person who is not prohibited by Federal law from possessing, transporting, shipping, or receiving a firearm and is carrying a valid license or permit which is issued by a State and which permits the person to carry a concealed firearm (other than a machinegun or destructive device) may carry in another State a concealed firearm (other than a machinegun or destructive device) that has been shipped or transported in interstate or foreign commerce, subject to subsection (b). (b)(1) If such other State issues licenses or permits to carry concealed firearms, the person may carry a concealed firearm in the State under the same restrictions which apply to the carrying of a concealed firearm by a person to whom the State has issued such a license or permit. (2) If such other State does not issue licenses or permits to carry concealed firearms, the person may not, in the State, carry a concealed firearm in a police station, in a public detention facility, in a courthouse, in a public polling place, at a meeting of a State, county, or municipal governing body, in a school, at a professional or school athletic event not related to firearms, in a portion of an establishment licensed by the State to dispense alcoholic beverages for consumption on the premises, or inside the sterile or passenger area of an airport, except to the extent expressly permitted by State law.’. 926D. National standard for the carrying of certain concealed firearms by nonresidents. On to H.R. 45 – Blair Holt’s Firearm Licensing and Record of Sale Act. I’ve made the full PDF of the legislation available here, but here is the recap from the NRA. The bill would further require the attorney general to establish a database of every handgun sale, transfer, and owner’s address in America. Moreover, the bill would make it illegal to own or possess a “qualifying firearm” — defined as “any handgun; or any semiautomatic firearm that can accept any detachable ammunition feeding device…” without one of the proposed licenses. Additionally, the bill would make it illegal to transfer ownership of a “qualifying firearm” to anyone who is not a licensed gun dealer or collector (with very few exceptions), and would require “qualifying firearm” owners to report all transfers to the attorney general’s database. It would also be illegal for a licensed gun owner to fail to record a gun loss or theft within 72 hours, or fail to report a change of address within 60 days. Further, if a minor obtains a firearm and injures someone with it, the owner of the firearm may face a multiple-year jail sentence. The NRA also tracks legislation at the state level. 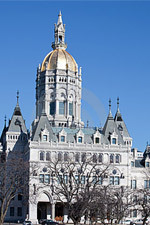 Our readers and listeners are from all over the country, but here is the information on proposed legislation for the State of Connecticut. Here is the link to find information concerning legislation in your state and how you can help. Anti-gun legislation, Senate Bill 554, introduced by State Senator Leonard Fasano (R-34), would ban the private sale of long guns and subject them to the same licensing requirements as handguns. SB554 has been referred to Public Safety and Security Committee. Please contact members of the Public Safety and Security Committee today and respectfully urge them to vote “NO” on Senate Bill 554. Click here for a list of the members of the Public Safety Committee. On a positive note, several pieces of NRA-supported legislation were introduced. Senate Bill 729, sponsored by State Senator Dan Debicella (R-21), Senate Bill 727, sponsored by State Senator Sam Caligiuri (R-16), and House Bill 6165, sponsored by State Representative Penny Bacchiochi (R-52), all clarify and improve upon current law as it relates to the justifiable use of deadly force in self-defense. These bills have all been referred to the Joint Committee on Judiciary. Two very important pro-hunting bills were also introduced and referred to the Joint Committee on Environment. House Bill 5209, sponsored by State Representative Craig Miner (R-66), would maintain the amount of state land where hunting is permitted should land be taken away. House Bill 5281, sponsored by State Representative Bryan Hurlburt (D-53), would allow deer hunters to take two additional deer provided the meat is donated to a nonprofit entity serving the needy. Please contact the members of the Joint Committee on Judiciary today in support of Senate Bill 729, Senate Bill 727, and House Bill 6165. Click here for a list of the members of the Joint Committee on Judiciary. Please contact the members of the Joint Committee on Environment today in support of House Bill 5209 and House Bill 5281. Click here for a list of the members of the Joint Committee on Environment. New Connecticut firearm legislation around the corner? Seriously. If you are cleared to carry by the FBI for crying out loud, why can't you carry a gun past state lines? Like the old line says, Ted Kennedy killed more people with his car than I have ever harmed with my gun. What was that quote from the late, great Charlton Heston…..from my dead cold fingers. The FBI is now looking to register guns. Dims is correct. How come we can't "legally" carry our gun between states? Isn't that technically a violation of our second amendment?